Cave Romane climbing area is situated in the old Roman quarry, before the entrance to Vinkuran, and is only 4 km far from Pula. 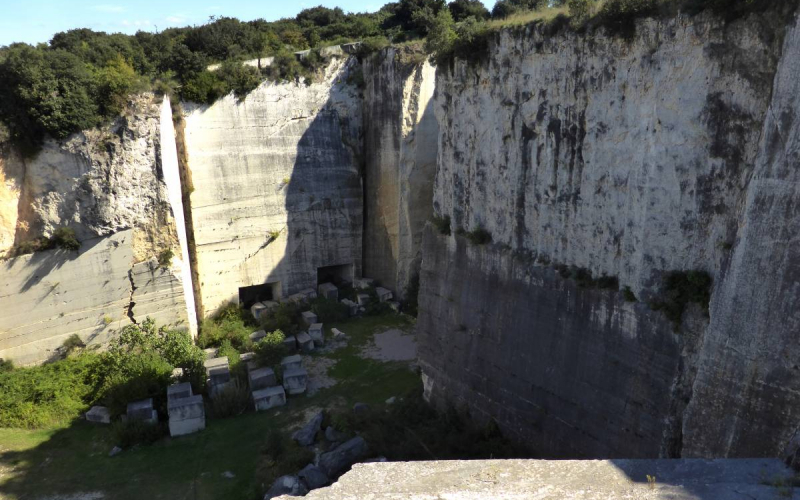 It's the oldest quarry in Istria, from which quality stone has been extracted since the time of Antiquity: Vinkuran unito and Vinkuran florito. 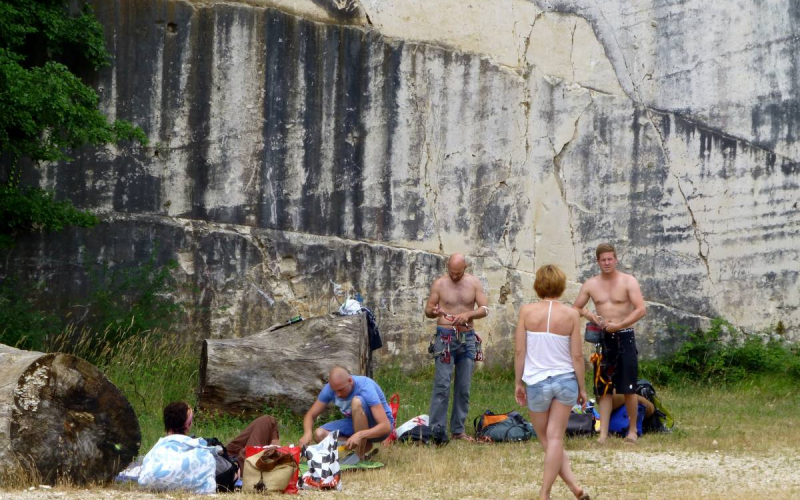 For a long time the quarry is not been used for stone exploitation, today its 40 m high cliffs represent an attractive climbing area with about 40 climbing directions. Bizjak apartments are situated near Cave Romane climbing area (Vinkuran), just above the quarry, and provide accommodation to climbers all year round. Drive the Y motorway to the end towards Medulin and follow the signs for Premantura. At the ring where the road to Premantura goes left (3rd exit) you turn right (1st exit) in Pula direction and drive towards Vinkuran. Turn left to Vinkuran, pass through the village and exit from the settlement in Pješčana Uvala direction. 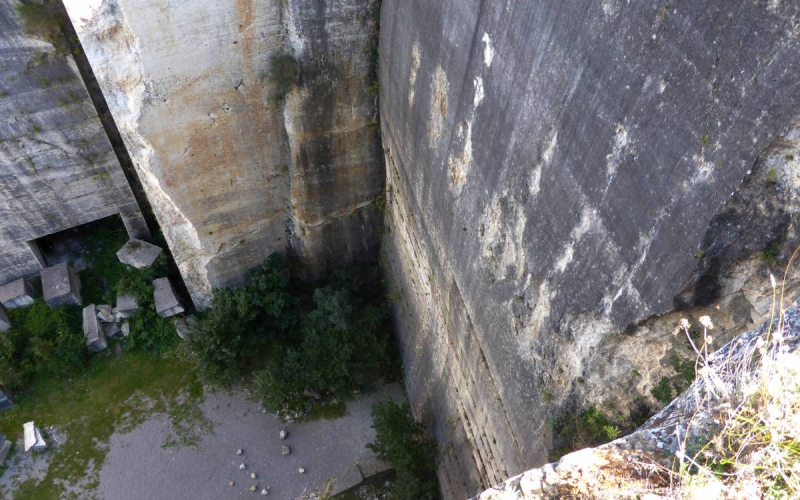 On your left, soon you will see the imposing quarry of Cave Romane. Park in front of the ramp and take a walk to the climbing area inside the quarry. The area is mostly in the shade which makes it good for climbing all year round. You can even climb in the summer, mornings are better. 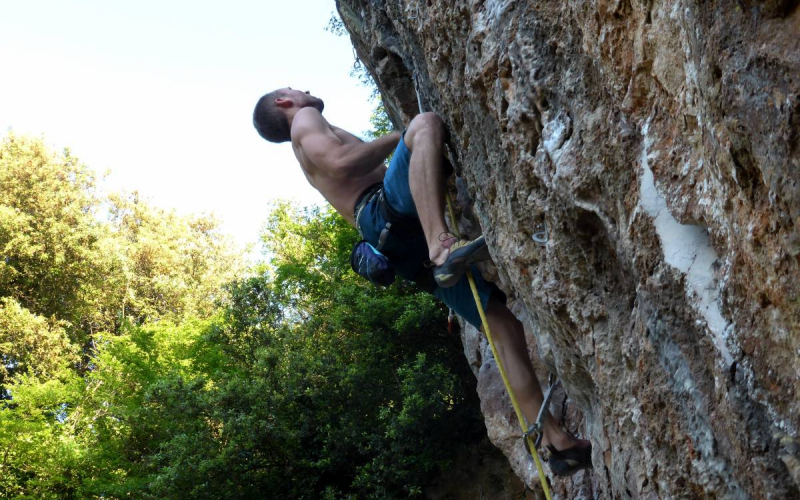 The routes in natural wall are really nice to climb, mostly overhanging and desire good endurance on sharp pockets and jugs. The routes in other sectors are really something special, something completely different, from totally manufactured to unique vertical climbing. 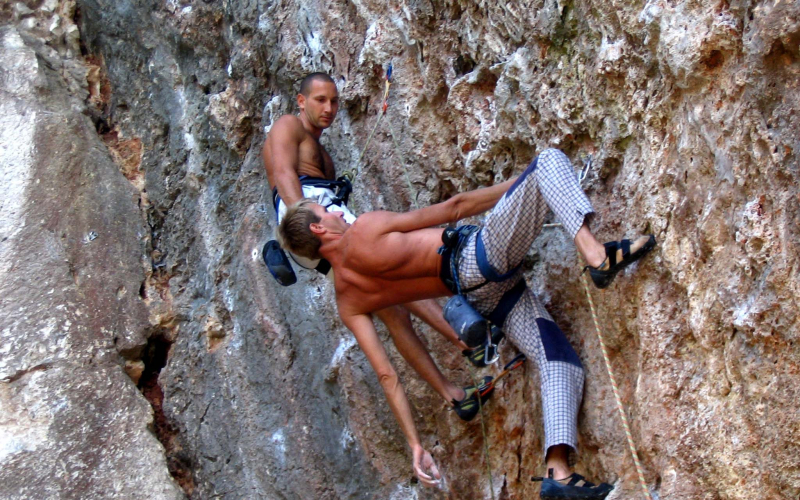 If you want to try climbing in all the sectors bring a 70 meters rope and at least 14 quickdraws. 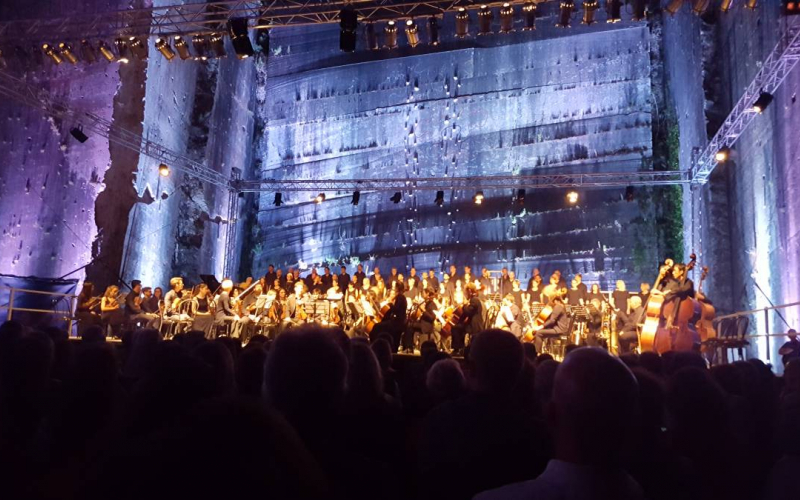 Due to stunning natural acoustics this magnificent space is also used as an open stage for various concerts, opera evenings, recreational and entertainment events like the QUOR festival, sport events, summer sculpture workshops and similar happenings. Prices include tourist taxes (registration fee and fee of daily stay), sheets and towels (changed weekly) and the final cleaning-up of the apartment. Dogs and other domestic animals are welcome with a cost of 5€/day/dog. During the high season the check in/out is on Saturdays, while in the other periods it isn't fixed to a specific day. A one-night stay price is increased for 50%, a two-nights stay for 25% and the third night price is normal, like indicated.